at blim gallery in vancouver (one of my absolutely favorite places to travel too...should i mentioned i'm going back this summer!) 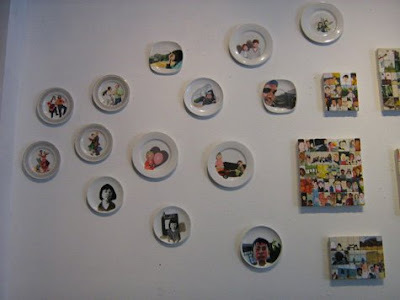 Both artist use functional , metaphorical surfaces for their paintings that tribute their friends and family who have played as subjects in their works for many years. 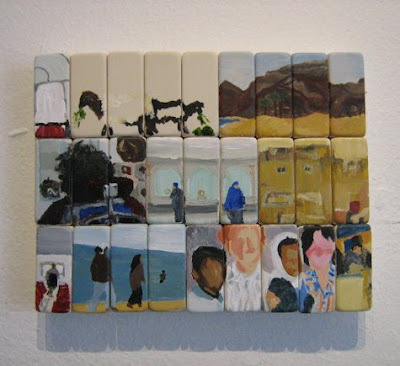 As poppytalks writes "tangiene has created her tribute using miniature paintings on erasers, recalling her past collected imagery which perpetually expires. 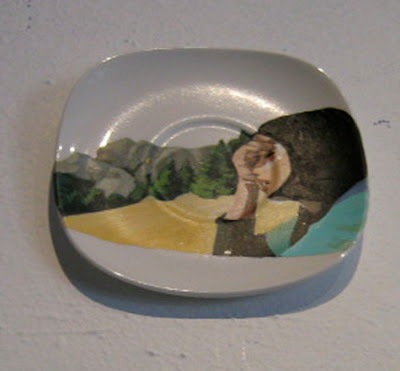 linh uses dishes exploring the kitschy, iconic references of commemorative plates and collectibles."